Last year was a rough one for investors, with markets turning in their worst performance in 10 years. And volatility promises to be a constant challenge for investors in 2019. But where there is upheaval there is also opportunity, and the drop in valuations means there are potential bargains to be had in Canadian stocks. To narrow the field we reached out to 10 pros who’ve followed Canadian stocks for decades. We think their list of 50 stock picks is worth considering for your portfolio. Just remember, these picks should only serve as a starting point for your own research. Still, we’re sure you’ll find a stock or two worth considering. 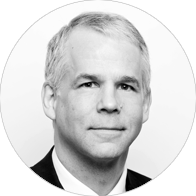 If anyone knows a thing or two about Canadian stocks, it’s Richard Liley, who has been helping add domestic outperformers to Leith Wheeler Investment Counsel portfolios since 2000. The Canadian equity analyst is a big reason why the firm’s Canadian Equity Series fund has a four-star Morningstar rating and 8.5% 10-year annualized return. Liley’s stocks, some of which have been held for 20 years, need to create value over a 5 to 10-year time horizon and he wants to purchase businesses at a discount to their intrinsic value. While he’s reduced his portfolio’s size from 45 to 36 names as valuations have climbed, he may buy more during this correction. It’s been a tough year for this Toronto-based insurance company—its stock has fallen by 22% over the last 12 months. 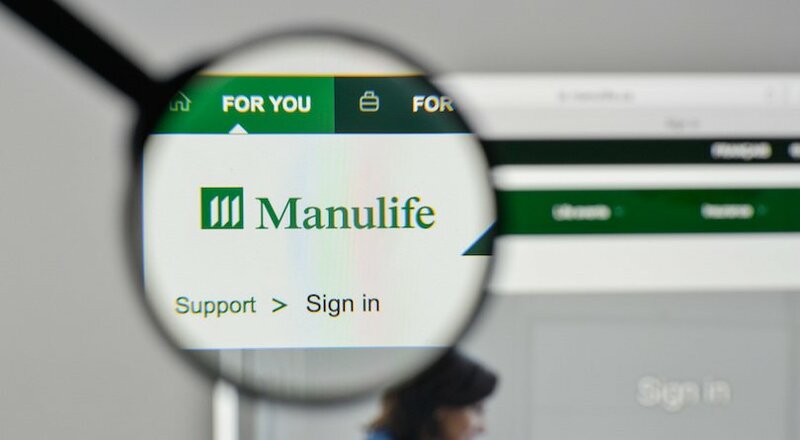 The drop is mostly due to declining long bond rates and concerns over economic growth, but Manulife is in much better shape than it was during the recession, he says. Its Asian business grew by 13% year-over-year in Q3, while revenues for its budding asset management business expanded by 8.7% in the quarter. It’s also selling fewer guaranteed market return products, which is a plus. It’s trading at a cheap 7 times forward earnings and 1 times book value, while growing its book value by around 13%. “If you can buy a company earning that kind of return on book value then that’s fantastic,” he says. This Toronto-based software company has been a Leith Wheeler favourite since its IPO in 2006. While it’s up 4,572% since then, it has fallen by about 15% since July, after earnings underperformed expectations by 15%. Still, Liley is excited. It sells software to niche sectors, such as municipal transit authorities and golf courses and its recurring revenue model is attractive, he says. It also generates a 30% return on capital. “That’s powerful,” he says. There’s some concern that this regular acquirer is finding less to buy and its recent decision to cancel quarterly conference calls won’t assuage those fears. Liley, though, isn’t worried. “They have so many different business units and end markets,” he says. When oil prices drop, so too do Canada’s energy companies. This Calgary-based natural gas producer is no exception, falling by about 26% in 2018. Tourmaline, though, can withstand a downturn, says Liley, because it produces its goods at a low cost and it sells 60% of its gas to hubs in the U.S. that are willing to pay a higher price for its gas. The company also owns a lot of its own infrastructure, “which is under-appreciated,” says Liley. It’s trading at three times cash flow, which is “incredibly cheap,” he says, especially considering they’d earn a lot more if they sold off their assets. “This company can survive a lot longer than others,” he says. 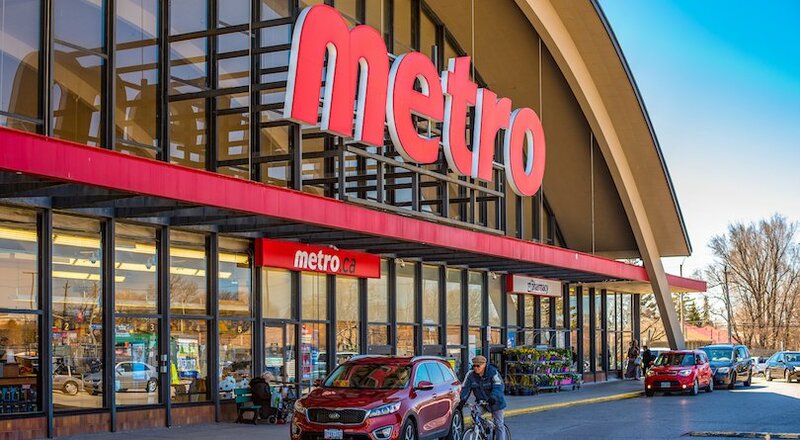 This Toronto-based REIT owns 10.9 million square feet of retail space in smaller U.S. cities. While retail may seem like bad bet today, all its centres include a grocery store, a segment that’s still dominated by in-person visits. “They have little exposure to the segments that have seen the most pressure from the shift to online shopping,” he says. Still, the stock is trading at about 25% below its net asset value. Debt has increased 43% since Q2 and it has a 107% payout ratio, which is concerning, but with an occupancy rate of 94.3%, Liley isn’t worried. “People don’t give them credit for how good the rental income is from their portfolio of stable grocery stores,” he says. Anyone who’s turned to a music-only channel on their TV will have used Stingray’s service. The Montreal-based business provides low-cost digital music channels to cable companies and consumers. While more people are listening to digital streaming services, enough people still flip to these stations when they want to listen to some ad-free tunes, says Liley. While it operates in other countries, it wants to buy Music Choice, its U.S. counterpart, which would accelerate growth considerably. It’s been rebuffed so far, but it’s only a matter of time, says Liley. A recent purchase of a traditional radio station in New Brunswick was a head scratcher, but so far that business is generating strong free cash flow. “Shares offer good value,” he says. There’s value and there’s momentum and then there’s Jennifer Radman, who combines both styles. Caldwell Investment Management’s head of North American equities wants to buy stocks at a discount, but she wants those companies to have already started moving higher before she buys in. “To avoid the value trap, we want to capture the last two-thirds of (the gains),” she says. It’s important that the company have a “good fundamental story,” she says, and for business and price momentum to be on the rise. As for valuations, she’s partial to price-to-cash flow, price-to-book and price-to-sales, among other metrics. Her approach is working: her Canadian Value Momentum fund has a five-star Morningstar rating and a 7.34% 3-year-annualized return. This Calgary-based company is the epitome of boring is best. Badger builds and operates trucks that use vacuum excavation technology that help it dig around cables, pipelines and other obstacles without causing damage. With low penetration in the U.S., and as the only company using this kind of technology, Radman thinks it has a lot of upside. In May 2017 short-seller Marc Cohodes accused it of shifty accounting practices, but the Alberta Securities Commission found no wrongdoing and the stock has climbed 35% since he made his claims. Revenue per truck, which had been too low, is growing, she adds, and while it is overexposed to the energy sector, it’s been able to diversify its business and quickly deploy unused trucks to new areas. Many large, legacy companies want to become more digital and they’re asking Montreal-based CGI Group for help. The company is involved in most aspects of digital transformation, including infrastructure building, business consulting and systems integration. “It’s a well-run business that has a secular growth driver behind it,” says Radman. Growth will continue as it buys more small competitors, while the continued shift to digital should insulate it from an economic downturn, she says. 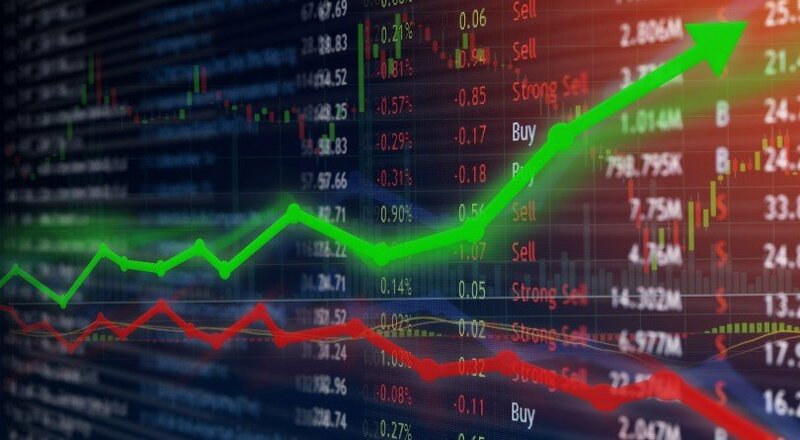 The stock experienced some big ups and downs in late 2018, but it still finished the with a 20% gain. “They’re getting good value from their acquisitions and organic growth is accelerating,” she says. This Acheson, Alberta-based construction company and equipment operator works mostly in the mining sector, building out sites for its mining company clients. While it was having a good year last year, up 140% between January and October, it’s since fallen by 13% because of uneasiness in the oil patch. They’re “the last man standing” in an industry that’s been hit hard over the years, so they can withstand periods of volatility, says Radman. She likes the business because it signs long-term contracts—it has a $1 billion backlog of work—it buys equipment at a low-cost during downturns and it’s well-run. “There’s quite a bit of upside here,” she says. You won’t find any oil and gas companies in Aubrey Hearn’s portfolio. The sector is too dependent on commodity prices, he says. Rather, the award-winning fund manager likes companies that operate in industries with limited competition and can generate high returns on equity and invested capital over five to 20 years. When it comes to valuations, he tries to determine how much a business would cost if he wanted to buy it outright and then figured out how it can grow. Free cash is also critical, he says. Hearn’s Sentry Small/Mid Cap Income Fund has a 15% annualized return, good for third best in its category, according to Morningstar. Regina’s Information Services Corp. manages Saskatchewan’s land title and property registry, and that’s about it. It was spun off by the provincial government in 2013 and now has a 20-year agreement with it to manage these services. It’s a steady business with decent growth—revenues increased by 22% year-over-year in Q3—but its stock price fell by 18% in 2018, in part because of concerns over economic growth. It also has a quickly growing corporate search division, which lawyers and financial institutions use. With net cash on the balance sheet, a free cash flow yield of around 8.5% and the potential to operate registries in other locales, this “amazing” business, he says, could provide steady returns for some time. This Mississauga-based air cargo company is exactly the kind of business Hearn likes. It has high barriers to entry—it’s not easy to start a new airline in Canada—it carries about 90% of the country’s overnight parcels, it will only grow as e-commerce expands and its stock price should be about $30 higher than where it’s at today, he says. It also has a number of blue-chip clients, such as Canada Post, UPS, DHL and TFI International. Cash flow has been impacted by new plane purchases—direct expenses climbed by $23 million quarter over quarter in Q3—but with the potential to expand stateside and more work to be won, Hearn is bullish on the business. If you’ve ever been inside a Canadian casino, there’s a good chance it was owned by this Richmond-based business. Great Canadian Gaming is the largest gaming operator in the country. It owns 28 properties, including Casino Woodbine in Ontario and River Rock Casino Resort in B.C. Casinos generate a ton of cash, and with opportunities to upgrade existing facilities—it’s investing in adding new slots and tables into some of its spaces—and the potential for new casinos, especially in the Greater Toronto Area, Hearn thinks returns will rise from here. It’s currently trading at 7.5 times enterprise value-to-EBITDA. “EBITDA will grow quickly because of its new projects,” he says. More people may be watching Netflix, but so far digital hasn’t killed the movie theatre. 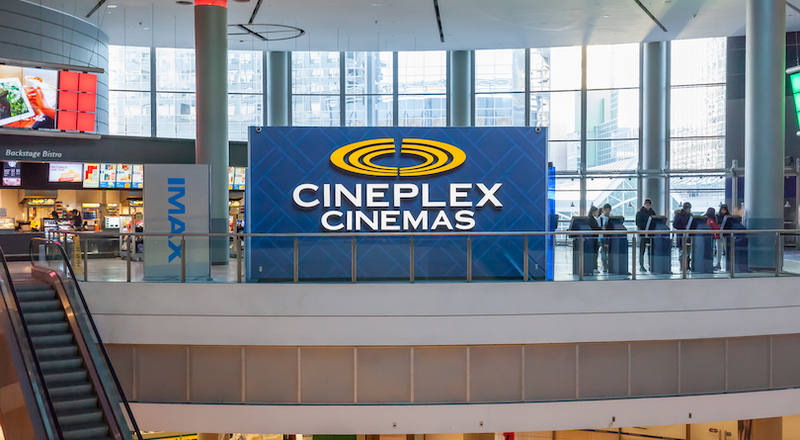 Still, it’s been an up and down journey for Toronto’s Cineplex, which owns about 80% of the movie theatre market in Canada. The stock dropped 33% in 2018, largely due to an earnings miss in November. While attendance has been declining by between 1% and 2% per year, Hearn says people still want to see movies on the big screen. It’s done well with concessions, which is a high margin business, and it makes good money from its advertising arm. VIP theatres, which have comfy chairs and allow booze, let them charge more per ticket, too. He’s cautiously watching their foray into arcades with their Rec Room brand, but so far so good. Want to buy a promising real estate business for cheap? Then look no further than this Brookfield business, which is trading near all-time lows and 21% below its January 2018 price. It’s sold off because rising interest rates tend to hurt dividend-paying REITs, while a $15 billion purchase of GGP Inc., the second largest U.S. mall owner, raised some eyebrows. “The market doesn’t like malls right now,” says Hearn. The company, though, owns many kinds of properties, including office, industrial and multifamily space. It’s also adding gyms, food and theatres to its malls, most of which are located in downtown urban areas. With Brookfield’s history of generating strong returns on capital, and its 8% yield, now’s a good time to buy in. Clean and cheap. Those are the kinds of companies Anish Chopra, managing director and portfolio manager at Toronto’s Portfolio Management Corporation likes to own. He wants businesses with strong balance sheets, high returns on capital, top-notch management teams and he wants all that at a discount. “We’re efficient value investors,” he says. That’s not to say he’s not interested in growth—he wants to be in expanding industries and his businesses need to generate above average returns. He also ready to buy on the dip. “There’s certainly more to look at today,” he says. Thanks to concerns over housing and consumer debt levels, Canada’s big five banks tumbled last year, with Scotia falling by 15%. Chopra, though, isn’t worried. Canada’s economy is still growing, and its financial institutions continue to be in great shape. 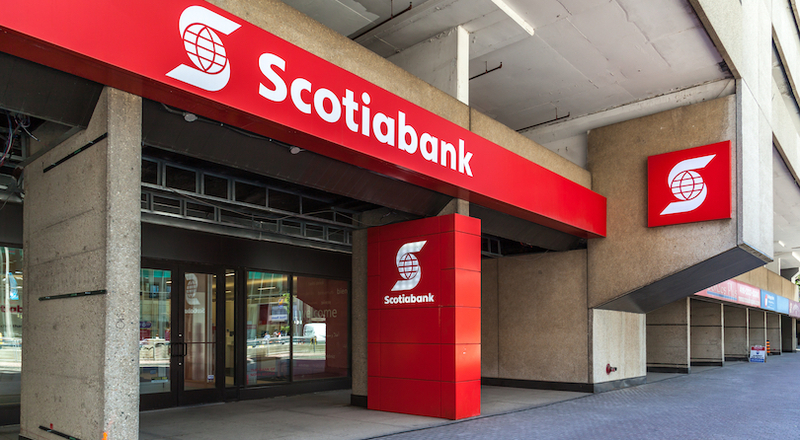 Scotia is his favourite because of its exposure to Latin America—it has operations in Brazil, Chile, Peru and other locales and recently sold off underperforming operations in the Caribbean. “Its growth rate in Latin America is higher than it is in Canada,” he says. With a 4.75% yield and a valuation of 10 times earnings, which is below where it’s been historically, investors can get getting a solid Canadian franchise for cheap. Saskatoon-based Nutrien was created in January 2018, after the blockbuster merger of Potash and Agrium. The company produces 26 million tonnes of potash, nitrogen and phosphate and has 1600 retail locations in seven countries where it sells fertilizers and other farming-related services. The stock dropped about 8.5% last year, mostly due to low commodity prices, but its retail locations continue to thrive, while merger-related synergies will help it expanding earnings. “The retail operation provides some level of stability,” he says. The fertilizer business is a long-term play—food consumption will grow as the global population expands—but with a 3.4% yield you’ll get paid to be patient. This Boucherville, Quebec-based business is one of the world’s largest auto paint distributors. It has 17 distribution centres and 440 corporate stores across Canada, the U.S and the U.K. It’s had a rough go recently, with several earnings misses and the resignation of its CEO in September, but things are starting to look up, says Chopra. It’s currently undergoing a strategic review, which could involve the sale of its underperforming FinishMaster division or the sale of the company itself, says Chopra. Whatever happens, car paint will always be in need and with valuations at a low 12 times forward P/E, “there’s a lot of ways to win,” says Chopra. Canada’s tech sector may be small, but we have some powerhouse operations. One is Waterloo’s Open Text, a growing software company that sells customer experience management, analytics and security software, among other things. Chopra’s likes its acquisition strategy—it’s deployed about $6 billion on 30 purchases over the last decade, he says—and its ability to increase operating margins post-purchase. There’s some concern around its organic growth rate, which is in the low single digits, and it missed earnings estimates last year, but because of that it’s trading at about a 40% discount to its peer group. Chopra thinks it still has plenty of life left. “Its products are in demand,” he says. In today’s market it’s important to play both offense and defense, says McClelland. “I like to create a good balance,” she says. With interest rates rising and volatility increasing, the dividend investor wants companies with little debt that can self-fund growth. “Companies need to demonstrate that they have access to capital when they need it,” she says. She also wants to own companies with growth opportunities and ones that have an edge over their competition. As stocks get cheaper, there are more opportunities to buy, she says. Her Canadian Value fund has a 7.7% 10-year-annualized return, according to RBC. 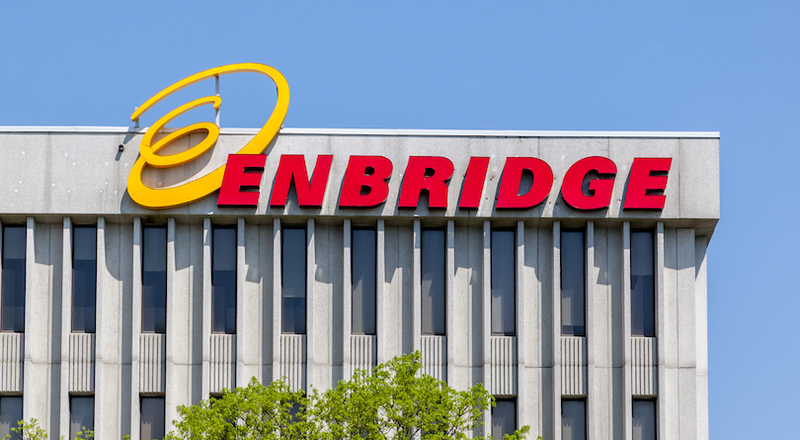 With so much negative news around Canadian pipelines, it’s no surprise that Enbridge’s stock price plummeted 13% in 2018. However, this Calgary-based business isn’t trying to build big controversy-courting projects. It’s mostly upgrading existing pipelines, and while that hasn’t been without problems—Minnesota’s outgoing governor is appealing an approval for a pipeline replacement—it’s not dealing with the same headline-making issues as some of its peers. It also sold off billions in assets to lower what was a sizeable amount of leverage. So far so good in 2019, with the company regaining nearly of its losses while paying a 6.2% dividend. It’ll climb further when pipelines come back in favour. Northland Power is the Rodney Dangerfield of utilities, says McClelland—it gets no respect. The company tends to sell off when interest rates rise, but it’s not like other Canadian power producers, she says. Firstly, it’s a major player in renewables, with wind, solar, hydro and thermal making up most of its business. It also generates electricity in Europe and the U.S., and is building some offshore wind farms in the North Sea. It’s also buying back shares, has a free cash flow yield of about 9% and pays a 5.2% yield. “They have a competitive advantage in that they’re not competing with the giant companies,” she says. This Vancouver-based company is the largest Caterpillar dealer in the world, selling, renting and fixing machines and tools for the mining, agriculture and forestry industries. Weakness in its core sectors caused its stock price to fall by 25% in 2018, but with operations in a variety of countries, including the U.K. and Latin America, it has more money-making options than many of its peers. The company has been able to increase margins and reduce costs during this downturn, while it continues to sign contracts and repair equipment. “It’s still making money through this cycle,” she says. Finning, which is trading at near record low 11.5 times forward P/E, will rebound from here, she says. McClelland may work at RBC, but it’s not why she chose this bank stock. Like its peers, the company has fallen back on fears of a housing slowdown, but it’s well positioned to withstand any shocks to the system, she says. McClelland likes the company’s diversity—it has a booming international capital markets business and a strong retail division—while it’s spending smartly on digital innovation. Its 2015 purchase of Beverly Hills’ City National has increased its U.S. presence, too. RBC tends to grow earnings faster than other banks, she says, and at 10 times earnings and with a 4% yield, it’s hard to pass this stalwart operation up. 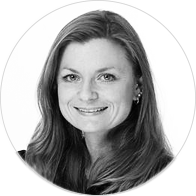 According to Juliette John, every successful investor must have an investment philosophy and one that can be applied consistently no matter the market environment. For her, that means buying companies that pay dividends, have stable earnings and trade at reasonable valuations. That payout is especially important, as she wants her clients to make money from capital appreciation and dividend growth. Dividends are also a sign of corporate strength and can help her determine whether the company can generate reliable and repeatable earnings. “Every security has to pay a dividend,” she says. This Brookfield business owns and operates large infrastructure projects, such as ports, rail systems, toll roads and utilities. John likes this company because its long-life assets should generate returns for years and it’s geographically diversified, with operations in North and South America, Europe and Asia. It’s been able to capitalize on the privatization of government assets, including in Brazil, and often buys inexpensive projects during industry downturns. It’s also an annual dividend grower—it has a 4.9% yield today—and sells assets if the price is right. “They’ve done incredibly well at recycling assets when they see a high internal rate of return,” she says. Like Chopra, John is bullish on Nutrien—it’s her company’s largest holding. She’s like its retail operation, which represents about 35% of the business and has margins that are “significantly” higher than on its wholesale business, she says. The newly merged company had said it could find $500 million in synergies, but has since increased that by $100 million and it’s already ahead of schedule, says John. She expects cash flow to top $2 billion in 2018, and with dividends costing $1 billion, it has a lot of money it can use to buy back shares or pay down debt. Investors will need to be patient, but with a 3.4% yield, they’re getting paid to wait. “They have a strong network for farmers and there’s visible growth in the retail business,” she says. This Calgary-based oil and gas producer is down 34% over the 12 months as investors have fled all things energy. Johns thinks the market is overreacting—it’s trading below its 2015 price, when oil prices were sub-$30, and it’s a better business than it was back then. The company has reduced operating expenses and, with a break even point of around $30 a barrel, it can stay profitable. It helps that 60% of its production also comes from outside of North America and it produces West Texas Intermediate-priced light crude, so it hasn’t been hit by the Canada-to-U.S. oil differential. It has 8.5% yield, and while John can’t rule out a cut, she’s not betting on one either. This Winnipeg-based aviation company operates several airlines that fly cargo and passengers to northern communities. John likes the business because it operates in niche markets where here its services are needed regardless of economic conditions. In July, Marc Cohodes set his short selling sights on EIF saying it had a spotty safety record and couldn’t cover its 7.5% yield. Its stock price has fallen 8% since his short was revealed, but John, and many others, say his claims are unfounded. It continues to make money, increasing EBITDA by 10% in Q3 2018 and it’s also growing through acquisition, including buying a small charter airline for $10 million in December. It’s only a matter of time before investors buy in again, she says. Like all the banks, CIBC has been under pressure, falling by 17% in 2018. It didn’t help that it missed earnings estimates in Q4, underperforming expectations for the first time in four years. She likes the name, in part because it bought back $417 million of its shares in 2018 and it’s raised its dividend at least once a year since 2011. 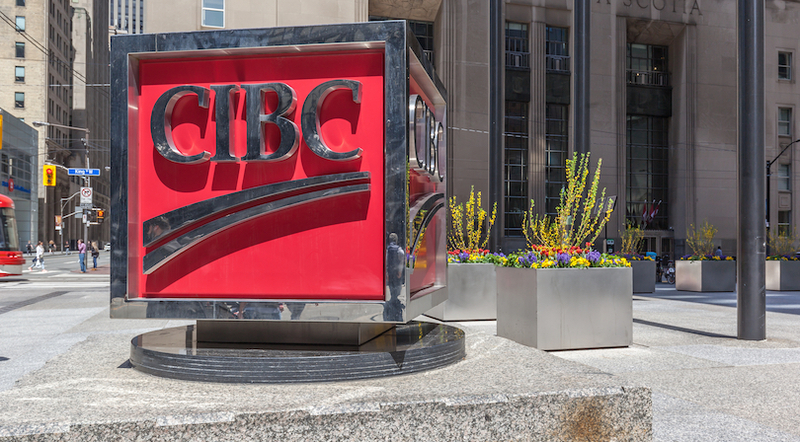 The stock will rebound as the sector comes back—CIBC is trading at around where it was in 2008, which “is completely unrealistic,” she says—while its 2017 purchase of Chicago’s PrivateBancorp gives it some exposure to the U.S. market. As well, “more dividend increases will contribute to a higher total return over time,” she says. 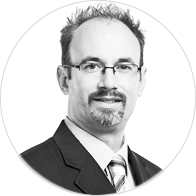 David Barr is a self-described contrarian who likes to buy unloved stocks in unpopular places. His love of small-cap also means he holds many names average investors don’t know. For him, value is key—he wants to know what one could buy a company for in the private market and then pay a discount to that price. However, he still wants growth and, in particular, revenue growth. A big addressable market is also a must, especially for the early stage companies he invests in, and he wants to see margin improvement, too. His approach has been rewarded, with his Small Cap Opportunity Fund winning several Lipper Awards. This Toronto-based company creates and sells appraisal software for the mortgage lending industry. It hasn’t been a great buy for investors, falling by 70% since its IPO in May 2017 and posting revenue declines in 2018, but, at about $4 a share, Barr thinks it’s due for a rebound. The company, which generates 90% of its business in the U.S., has been growing its market share stateside and that will continue. With Americans carrying less debt than Canadians, and with home sales still below their pre-2008 levels, more home purchases—and appraisals—are to come. It’s also heavily re-invested in the business, says Barr. “Management is focused on the long-term and we’ve seen margin growth and profitability increase,” he says. One of the most popular fast food salad chains is also “another broken IPO,” says Barr. It’s down 76% since it went public in January 2017, because it overpromised and undelivered. It also missed analyst expectations in Q3 and disappointed investors when it said it would rescind 2019 guidance because of troubles meeting forecasted earnings and sales. Barr, though, is optimistic. It has 431 stores in 17 countries and it’s signed agreements to open 372 more locations. 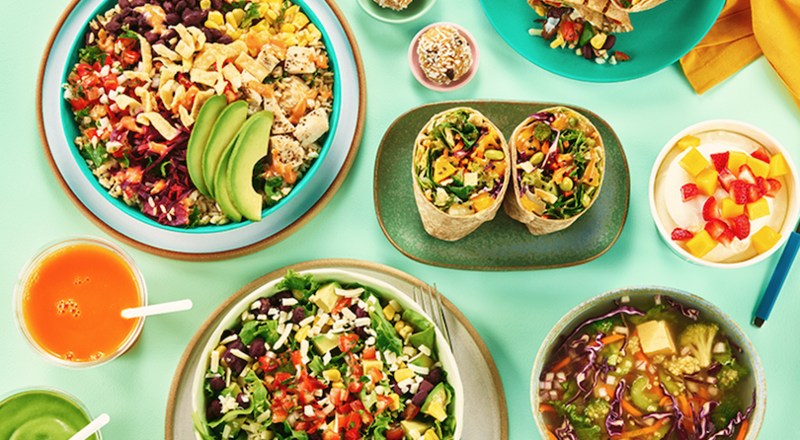 It’s also one of the most recognizable names in the growing healthy fast food market and, at least up until last quarter, same store sales growth was expanding. “If you’re growing at the rate these guys have been then I think a $14 share price is warranted,” he says. This Toronto-based company helps small and medium-sized businesses finance equipment purchases. “Think of the general contractor who needs a $5,000 piece of equipment,” says Barr. The company has been moving its loan book away from subprime—people who don’t qualify for a bank loan—towards more prime lending, while its return on equity has expanded from 10% to 18% over the last 12 months. It’s a small company, but it’s been able to grow loan originations by 30% in 2018 and has no problems finding new business, he says. The stock fell by 9.5% last year, but it’s doing well in 2019, rising by 7.2% year-to-date. With a good growth profile—earnings grew by 88% in Q3 2018—it’s becoming an attractive takeover target, he says. It’s all about the cash flows for this Vancouver-based business. The company collects royalty streams from three companies: Air Miles, Mr. Lube and Sutton, one of Canada’s largest real estate brokerage firms. The stock is trading at a 40% discount to where it should be, says Barr, because it’s paying out more money in dividends than it has in free cash flow. But it’s “a misunderstanding,” says Barr, adding that the company is holding on to its cash because it’s looking for a fourth royalty stream to buy. In the meantime, it has an 7.6% yield and it’s still collecting a lot of money, generating $19.5 million in royalty revenue in the first nine months of 2018. Most people haven’t heard of this small Venture-listed communications company, but the ones who have bought in have been rewarded. This 34-year-old, Markham-based growth company—it’s stock price rose 50% in 2018—makes Voice-Over-IP hardware and software for North American corporations. With more companies abandoning landlines, but still wanting to provide staff a desk phone, the Internet-phone business is doing brisk sales. In August, Sangoma spent $28 million to buy Digium, another VOIP-based communications company. That purchase will turn it into a $100 million company, says Barr. It’s also trading at 0.6 times next year’s revenue, while its peers trade at 2 to 3 times, but that discount won’t last long. “People are starting to pay attention,” he says. 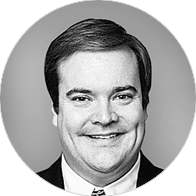 Bruce Campbell is not your typical investor. Unlike many of his peers, Campbell takes a top-down approach investing. For him, GDP growth, manufacturing data, oil prices and yield curves are more important than traditional valuation metrics. He also looks at momentum indicators and technical analysis to determine if he should hold more stock or cash. When it comes to the companies themselves, he wants to see a catalyst that can accelerate earnings growth in the immediate or near-term future and he typically buys in after a stock has started to climb in price. “We’re looking to buy after it’s had a quarter or two of improvement,” he says. 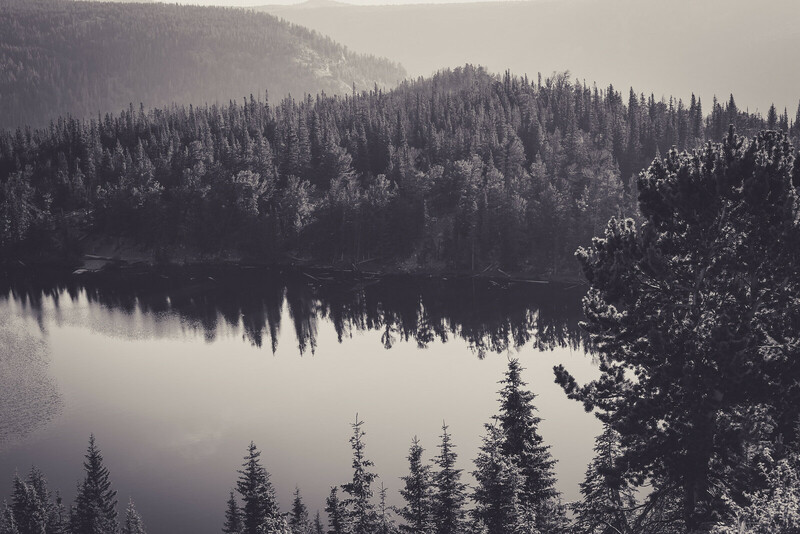 His five-star Morningstar rated Redwood Equity Growth fund is first and second in its category on a 3- and 5-year annualized return basis, respectively. This Lafayette, Louisiana-based business is angling for a fresh start after three years of price declines, questionable acquisitions and curious management moves. In December 2017 it appointed a new CEO and in April it changed its name from Patient Home Monitoring Corp. to its current moniker. While the stock declined by 15% last year, Campbell says things are looking up. It sells and rents a variety of home-based medical equipment, such as respiratory equipment and wheelchairs, but its CEO has said it wants to focus more on “utilizing disruptive technology to advance organic growth.” It’s lowered its debt and has reduced account receivables outstanding, but the market is still weary. At 4 times earnings, PHM should be attractive to investors and potential acquirers. This Vancouver-based cannabis company operates exclusively in the U.S., which, when federally legal, will be a massive market for pot smokers and investors alike. 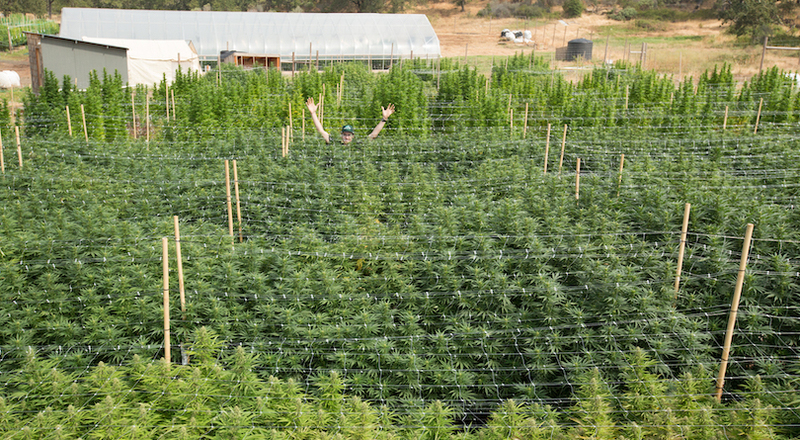 It has a cultivation facility outside of Reno and dispensaries and distributions facilities in Oregon. Unlike many of its peers, C21 is profitable. It’s also trading at 1 times sales, which is below the 5 to 20 times sales of its peers. It’s mostly been ignored by investors, but when the U.S. eventually does legalize, which Campbell thinks could happen before the next election, it will be able to expand to new states and move cannabis across state lines. “It could become significantly more valuable overnight,” he says. Mississauga’s Goeasy offers personal loans and lease-to-own options for furniture, appliances and electronic purchases. Over the last five years it’s grown its loan book from less than $100 million to more than $1 billion. Most of its clients can’t get a loan from the bank, which makes it a riskier company to own, but it has been trying to target more premium customers. If Canada’s economy slowed significantly, it could find itself in trouble, since many of its loans are high interest and unsecured—hence the 31% pullback in price in Q4 2018—but with earnings growing at 15% per year and the company trading at 8 times 2019 earnings, “it’s a good and growing business,” says Campbell. This Kelowna-based cannabis company gets paid to extract CBD and THC from pot plants. Its clients, which include Canopy Growth, can then use those extracts, which is often in the form of oil, in edibles, drinks and other cannabis-related products. The extract market is going to be huge, says Campbell and already represents about 50% of cannabis sales in California. In October 2019, edibles and other non-flower products will be legal in Canada and the sky’s the limit when other markets open. “This could be a massive cash flow machine,” says Campbell. It’s barely making any money, but it should be able to generate at least $75 million in revenue, he says. “It’s expertise and its facilities are in high demand,” he says. 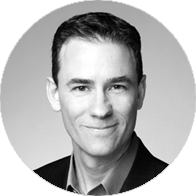 On the surface Richard Stone’s investment philosophy is simple: He wants growing companies to hold for the long term. His process, though, is more complicated. Stone Asset Management uses quantitative modelling to help narrow down the number of businesses to choose from. He then speaks to management, reviews annual reports and makes sure everything is above board. Finally, he implements technical analysis to see if there’s still upside in the stock. Ultimately, he wants to own a company that can provide a compound annual growth rate, including dividends and capital gains, of between 8% and 10%. His Stone Growth Fund, which is flat on the year, is ranked fifth in its fund category on a one-year annualized basis, while his Dividend Growth Class fund has a four-star Morningstar rating. Another beaten down bank stock makes the list. TD fell by 7.9% and, at 10.1 times forward earnings, it’s the cheapest it’s been since early 2009. Yet, the company still makes mounds of cash, growing earnings per share and net income by 9.2% and 7.8%, respectively, in 2018. It also posted a 14.6% return on equity and has a 3.95% dividend yield. Stone likes these numbers, but he’s also happy with its North American footprint—it has more than 1300 branches in the Eastern U.S.—and likes how it’s using financial technology to become more efficient. While there’s risk around consumer lending, as there is with all banks, it will continue making money hand over fist. People may know this Montreal-based transportation and logistics company as Transforce, but, in 2016, it changed its name to reflect its more international ambitions. And it is a more international company than it once was, with operations in Canada, the U.S. and Mexico. TFI had a strong 2018 compared to other stocks—it climbed 7.5% last year—but it’s fallen by 17% since October 1 over worries of slowing economic growth and potential weakness in its oil patch business. “It’s a barometer for the North American economy,” says Stone. Still, with e-commerce helping increase shipments, more internal efficiencies and its steady rate of acquisitions, this company will continue to expand. This multinational holding company owns some of the oldest financial firms in Canada including Great-West Life and IGM Financial, which has a stake in Mackenzie and IG Wealth Management (formerly Investors Group). The company has “always been a sleepy business,” he says, and recent growth challenges for IG and GWL haven’t helped. However, a new rebrand could cast IG in a new light, while investments in Wealthsimple and Portag3, a fintech venture capital firm, may finally make this the exciting operation that investors have wanted. It usually trades at a 15% discount to its net asset value, says Stone, but it’s currently traded at 23% discount, which makes it an attractive buy. This Ottawa-based business helps companies monitor and expand their supply chains via its various software offerings. It’s competing with SAP, but Stone thinks it has a better product. Its stock price was down 14% last year, but it’s been able to grow revenues by double digits on an annualized basis, while EBITDA margins have been staying steady at around 25%, he says. It’s also been expanding its product offerings, investing in research and development and generating more sales through partners, such as Deloitte and Accenture. The company can also charge monthly fees as its clients start moving to the cloud. “It’s superior to its competitors,” he says. 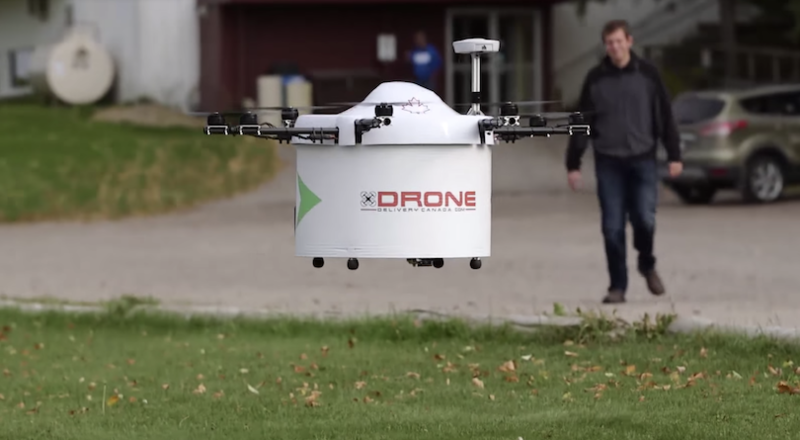 Those with a little play money may want to consider investing in this Vaughn-based drone tech company. The business has one client, but it’s got a lot of promise: Its innovative software helps deliver packages to hard-to-reach locales and, in the future, to homes and offices. While it only accounts for a small part of Stone’s portfolio, he likes the business because it’s one of the only companies in Canada with this Transport Canada-approved technology and it’s in a highly regulated industry, which makes it hard for an American competitor to enter the market. It’s still early days, but the stock is up 55% since January 2018, and it’s meeting its targets, says Stone. “We’ll be a patient investor,” he says. Not many people can say they’ve studied stock picking from Stephen Jarislowsky, but Nadim has been working with the legendary Canadian investor for more than a decade. Nadim is partial to companies in non-cyclical industries and to businesses that employ environmental, social and governance practices. He wants a company that has high barriers to entry; a management team that has a strong vision and track record; an operation with a clean balance sheet and high cash flows; and a business that’s trading at a discount to its cash flow. Ideally, he’d like to see a return between 10% and 15% on an annualized basis. His Jarislowsky Fraser Select Income Fund has a four-star Morningstar rating. 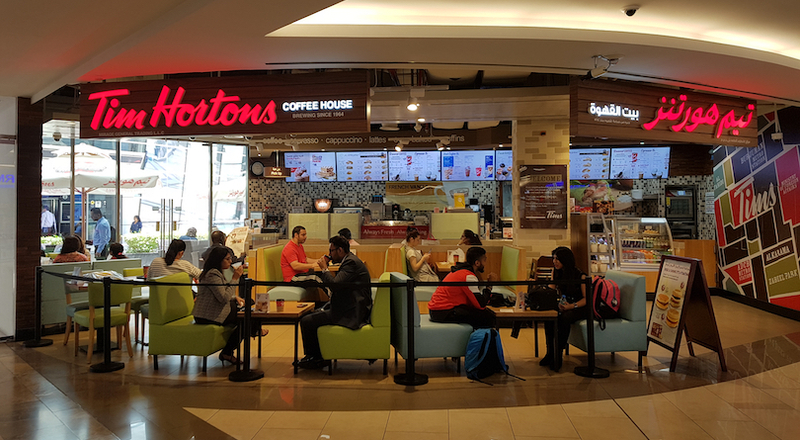 Tim Horton’s parent company has run into problems over the last year, but despite a lawsuit from franchisees and slowing sales growth at the coffee chain, Nadim thinks the Oakville-based business has plenty of room to grow. In addition to Tim’s, the company owns Burger King and chicken chain Popeyes, which it bought for $1.8 billion in February 2017. Its international growth prospects are particularly exciting, says Nadim. Tim’s recently signed a deal to open 1,500 stores in China, while the runway for Popeyes,—in a country that has more than 11,000 KFCs, but only 150 Popeyes—is enormous. It sells franchise agreements, so it doesn’t have to do the heavy lifting itself. “These guys will be a global powerhouse,” he says. Montreal’s Saputo, a perennial large-cap favourite, processes and sells dairy products. According to the company, it turns 10 billion litres of milk into cheese every year. The company runs a business that’s hard, if not impossible, to replicate, it can pass off input cost increases to customers and it’s in the rapidly growing emerging market space, including in China, where probiotic yogurts and pizzas are becoming increasingly popular. There’s room to grow elsewhere, too—for instance, the company is not in Brazil or Europe, says Nadim. Through capital gains and a 1.7% yield, it should return 10% per year over the next few years. CGI has another fan in Nadim. Like Radman, he sees a lot of opportunity in digital transformation and says companies will need to adopt digital processes to compete with their more tech savvy peers. He points to the company’s organic growth, which is expanding at between 3% and 5% per year, as a bright spot, while its strong track record of acquisitions is also a major plus. About 70% of the stock is owned by insiders, which is a good sign, he says. The stock is up 147% over the last five years, but Nadim still thinks it can grow by about 8%, on average, over the next five years. “There’s still a lot of upside over the long term,” he says. This Calgary-based small-cap sells software that helps companies manage stock options, employee share purchase programs and other equity-focused compensation plans. Almost 80% of its cash flow is recurring, while customer attrition is low, says Nadim. The $640 million market cap company has $100 million in cash and no debt, while insiders own 27% of its shares. Sales also grew by 36% last quarter. “It’s on the hockey stick growth curve,” says Nadim. If it can expand globally, which it’s just starting to do, then it will be able to generate sales even faster. “It’s a future Canadian champion,” he says.